Giggles and sunshine with the merry skyfriends. 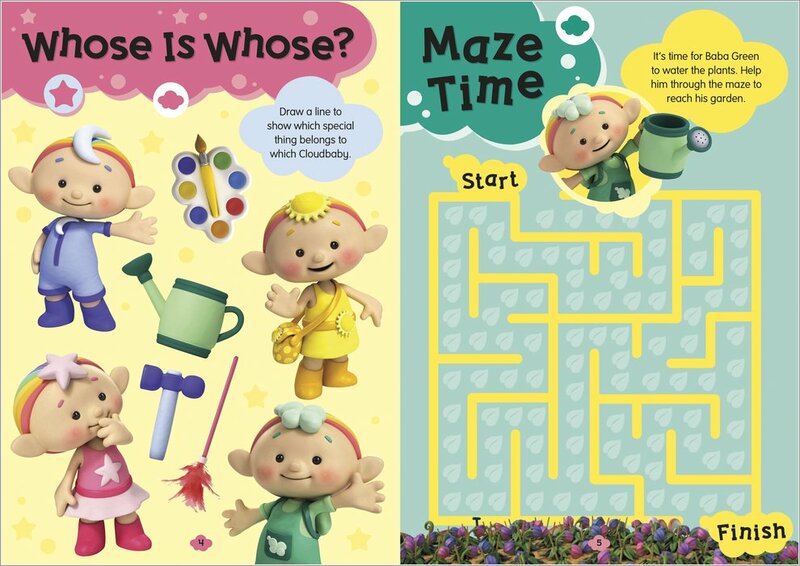 Puzzles, colouring, cheerful big stickers and energising games. Who looks after the sky? The Cloudbabies do. 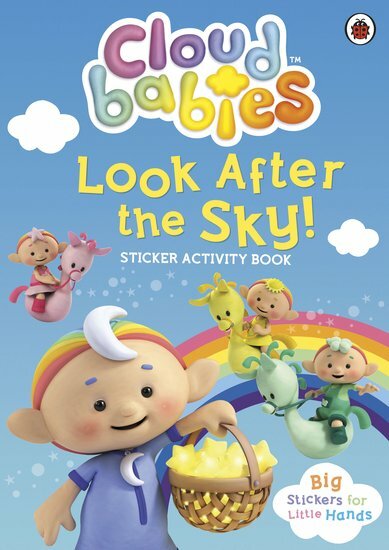 Now you can help the cloud-hopping tots do all their special sky jobs, like mending cracks in rainbows and painting clouds. Solve puzzles, colour pictures and try out lots of heavenly activities. Super-big stickers make it all even more fun. 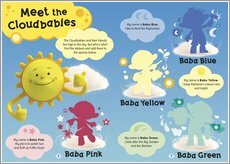 Colour in this picture of Sun then add the other Cloudbabies to the picture. 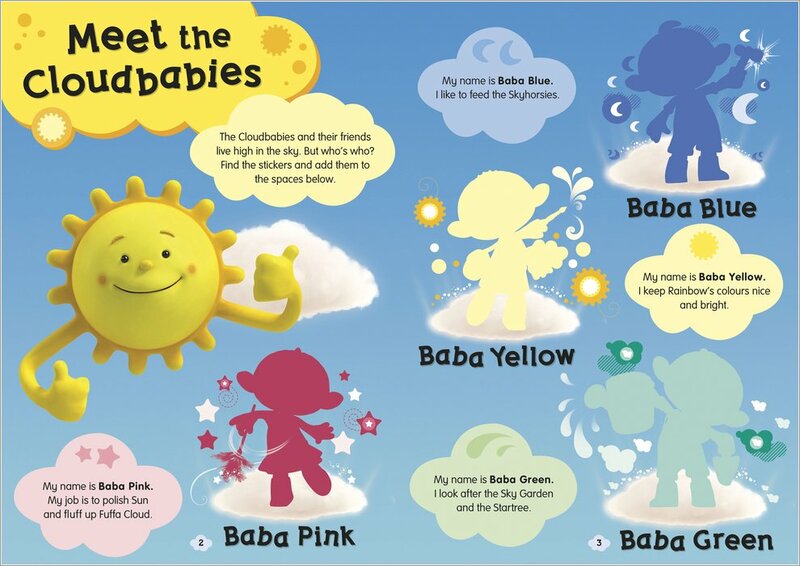 Colour in the Cloudbabies and see if you know all their names.